Still spending hours doing cardio and frustrated with your results? Researchers compared the effectiveness of two different exercise protocols done in six training sessions over 2 weeks. The first, a low volume sprint-interval training (SIT) group, performed 4-6 repeats of 30 seconds of cycling with a 4 min recovery. Each session lasted no more than 30 min. The second, a high volume endurance training (ET) group, cycled at 90-120 minutes at a lower intensity. The results? After only 2 weeks, improvements in muscle oxidative capacity, muscle buffering capacity and exercise performance were similar between groups, despite the fact that total training volume was about 90% lower for the SIT versus ET group. Take home point: shorter, more intense interval sessions are just as effective for improving metabolism as longer sessions, but require less than 20% of time. 1. Gibala MJ. 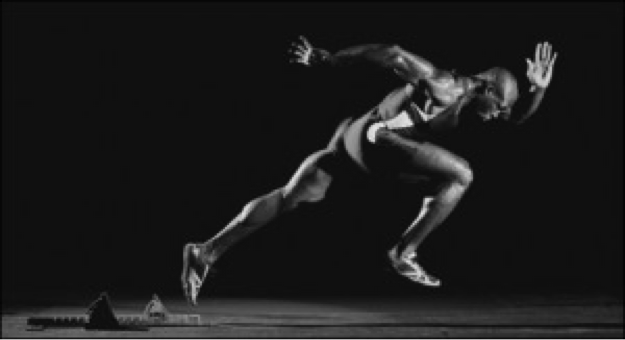 Short-term sprint interval versus traditional endurance training: similar initial adaptations in human skeletal muscle and exercise performance. The Journal of Physiology. 2006;575(3):901–911. doi:10.1113/jphysiol.2006.112094.